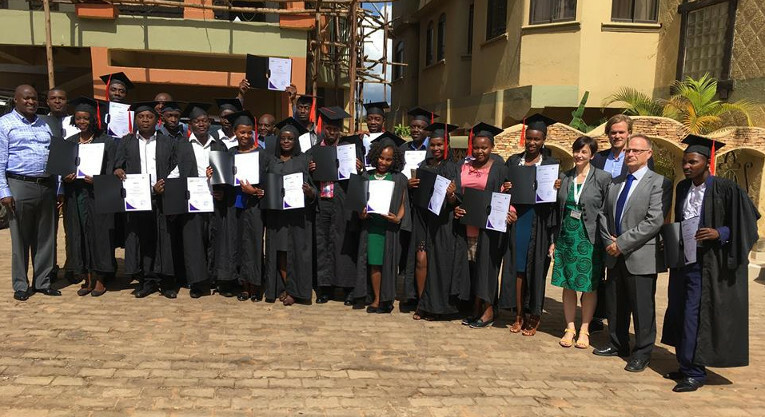 In June, graduations were celebrated in Uganda as well, as 20 graduates of a Finnish entrepreneurship training received their diplomas. This is the first time that it has been possible to complete a Finnish secondary vocational education in Uganda. The project carried out in cooperation between Finn Church Aid and education export company Omnia Education Partnerships aims to offer entrepreneurship education to both refugees in Uganda and young Ugandans. Uganda is the third-largest recipient of refugees in the world. There are currently almost 1.5 million refugees in the country. ”Education export like this has not been carried out in Uganda before. An official vocational qualification opens up doors to further education for the graduates. 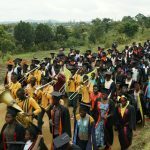 The qualification allows them to apply for institutes of higher education within the EU, for example,” says Finn Church Aid project manager and instructor for the project, Ville Wacklin. This is an official entrepreneur’s further vocational qualification, equivalent in its requirements to a Finnish upper secondary level degree. In addition to improved prospects of employment, completing the qualification certifies the graduate as a trainer who can train others wanting to become entrepreneurs in the future. 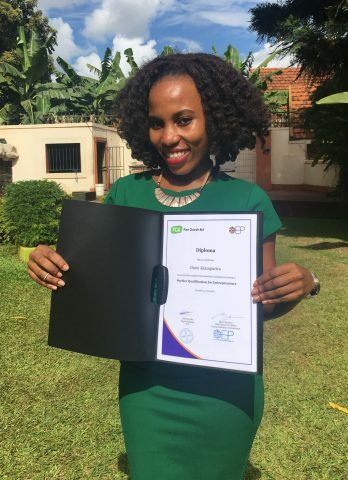 Last week, the Finnish Entrepreneurship Diploma was granted to 20 students, five of whom are refugees living in Uganda, and 15 Ugandan citizens. One of the graduates is 25-year-old Ugandan Doris Akampurira. Empowered by the education, she has founded her own online store through which consumer goods and groceries can be ordered straight to one’s door step. Empowered by the training, Doris Akampurira, 25, realized a long-time dream and established her own online store. ”Even though I had dreamed of entrepreneurship for a long time, I was hesitant to start my own business. Thanks to the training, I gained enough courage to take the final step. Now I dare to take calculated risks and I know what it takes to be an entrepreneur,” Doris says. It all started from an idea that online shopping is the future. ”I want to make buying easier for people. The idea of my business is that customers can shop in the comfort of their home and have their shopping delivered straight to their door step,” Doris says. The young businesswoman’s ambitious aim is to make her business known abroad as well. ”My dream is that in five years, everyone knows my online store, and that it’s one of the biggest in Uganda. One day, I hope to expand my online store even beyond Ugandan borders,” plans Doris. 26-year-old Joseph Lohose arrived in Uganda five years ago as a refugee. The entrepreneurship training has given him faith in the future and helped the young businessman to develop his business ideas. ”Personally, the qualification is a huge achievement for me. People have lots of preconceptions about refugees. It’s not easy to make it in a foreign country. 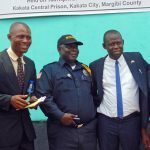 Now I can apply for further education and realize my business plans”, Joseph says. The successful pilot project is planned to continue in the fall, when the training hopefully commences on an even larger scale than before. At the moment, there are 60 future refugee entrepreneurs studying to attain the Finnish Entrepreneurship Diploma at a refugee camp in Kampala. The joint-project of Finn Church Aid and Omnia Education Partnerships was carried out in cooperation with Savon ammattiopisto, Kauhavan yrittäjäopisto and Kauppiaitten kauppaoppilaitos Mercuria.